San Diego Comic-Con is the largest convention in the city and in recent years more than 130,000 people have attended this spectacular international event. 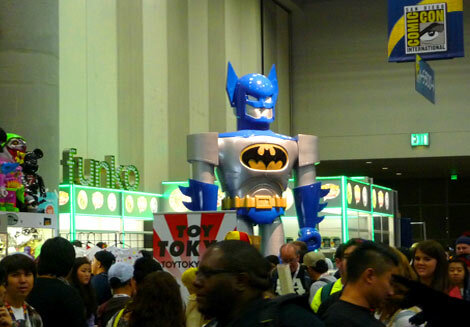 Comic-Con is an energetic and fun event that is held each summer in the city of San Diego. This four day convention, running from July 9th to July 12th, 2015, brings together fans of various genres and entertainment mediums, including comic books, films, television shows, anime, manga and more. Over the years, the fantasy and science fiction content has expanded to include horror, video games and animation. San Diego Comic-Con is the largest convention in the city and in recent years more than 130,000 people have attended this spectacular international event. It is held in the San Diego Convention Center, however due to the grand size it has reached, it has expanded to nearby hotels, including the Hilton Bayfront and the Marriott Marquis & Marina. Comic-Con participants can enjoy workshops, panel discussions with the creators and performers of their favorite shows as well as hundreds of exhibits and programs. There are many special guests for 2015 including cartoonists Lalo Alcaraz and SergioAragones, along with writers Kelly Sue DeConnick, Michael DeForge, Mark Evanier and many more. Some attendees even pay tribute to their favorite characters by dressing up for the event. Fans can also choose from an incredible selection of collectibles that they can take home after enjoying a truly memorable visit and the wonderful attractions that this destination has to offer. This thrilling experience is often a dream come true for fans that are passionate about their favorite fantasy world, story or universe. The convention center is located in the city’s Marina district, so when you take a break from your adventures you can also admire the beautiful scenery of San Diego Bay. The magic doesn’t have to end after the four days of the San Diego Comic-Con. Don’t forget to visit the enchanting Disneyland theme park or see beautiful wax representations of memorable characters at Madame Tussauds Hollywood when you visit the dynamic city of San Diego!